Posted on May 4, 2015 May 10, 2015 by Debito Arudou Ph.D.
Dr. M.G. Sheftall, professor of modern Japanese history at Shizuoka University and author of “Blossoms in the Wind: Human Legacies of the Kamikaze,” was in Honolulu last month for the dedication of a temporary exhibition about the Tokkō kamikaze suicide pilots aboard the battleship USS Missouri, the site of Japan’s surrender at the end of World War II. JBC sat down for an interview with Dr. Sheftall about the kamikaze phenomenon and what makes this exhibition unique. Q: So, what’s going on here? You’ve witnessed something very historic, because the exhibit is the first about any kind of Japanese military activity in the modern era ever held outside of Japan with Japanese cooperation — in this case, with the Chiran Peace Museum on the kamikaze in southern Kyushu. What makes the USS Missouri an especially relevant venue is that it is to my knowledge only one of two still-existing ships — the other being the USS Intrepid — that were actually hit by kamikaze during the war. The USS Missouri was hit on April 12, 1945, exactly 70 years ago. The next day the crew formed on deck to consign their fallen former enemy to the depths with full naval honors. They even made a Japanese flag shroud from old unused signal flags. I think that’s a nice story. If there can be some recognition of humanity even in such circumstances, that shows hope for human beings in an otherwise insane and irrational situation dominated by hatred and fear. Rest of the article up at http://www.japantimes.co.jp/community/2015/05/03/issues/japan-u-s-effort-tell-suicide-pilots-stories-dodges-controversy-wins-praise/. Dr. Debito, thank you for this JBC. It’s a great interview about a great exhibition, and Bucky’s analysis is very interesting. For me, I found the participation of the museum at Chiran to be a really uplifting point. It just goes to prove that you can be a patriot without being a raving right-wing nationalist loon. It’s a shame that the two are often conflated due to the advantages the right-wing loons have in broadcasting thier opinion, and hijacking the narrative and debate. I respect the Japanese side for being able to participate in this exhibition without adhering to revisionist niceties. This shows them to have a certain humanity and dignity the likes of Abe are lacking, and the story about the kamikaze pilots burial at sea, indeed, the fact that this exhibition can even be held at Big Mo’, at Pearl, without an American fringe noisily hijacking the event with claims that it gives unfairly sympathetic coverage of the Japanese side, is telling. Maybe one day, the Yushukan will be torn down, and (for example) the sign on the steam train outside will be changed from the story of ‘brilliant’ Japanese engineers, to a sign that explains the brutal conditions under which allied prisoners built the railway. Exhibitions like the one in Hawaii threaten the right wings agenda, and protect accurate memory of history, and that’s something Japan sorely needs more of. Absolutely brilliant. The humanism, rather than the propaganda shines through. That’s so rare and incredibly valuable these days. Speaking of museums, did you catch this? I visited this particular museum in ’99, dragging along an extremely reluctant Japanese friend who demanded to know “why do you always want to see the bad side of Japan?” I don’t want to see the bad side, I only want to see the truth! Why don’t they get that? OSAKA–A museum famed for its many exhibits showing Japanese aggression during World War II has removed them, bowing to pressure from conservative politicians. “We had no choice but to remove the exhibition on the aggression to ensure the survival of the museum,” a source close to the museum explained. Osaka Mayor Toru Hashimoto had threatened to close down the Osaka International Peace Center museum when he was governor of the prefecture. Hashimoto’s successor as Osaka governor and a close ally, Ichiro Matsui, praised the facelift when he toured the museum in the city’s Chuo Ward on April 30, the day the facility reopened after renovations. The Osaka International Peace Center is operated by an entity funded by the Osaka prefectural government and Osaka municipal government. Among the dozens of exhibits removed were panels on Japan’s invasion of the continent, the colonial rule of the Korean Peninsula, suffering in Southeast Asian countries due to Japanese aggression, text describing the 1937 Nanjing Massacre and abuse of prisoners of war, and photos showing piles of dead bodies and civilians being buried alive. Instead, the museum now houses an expanded section on U.S. air raids in Osaka Prefecture between December 1944 and August 1945 and shows a 14-minute war-related video in which Japan is not labeled an aggressor. The Osaka International Peace Center was established in 1991 and was known for being a rare public facility in Japan shedding an equal amount of light on the nation’s role before and during World War II as well as the sufferings of the Japanese during that period. Masaaki Arimoto, who led the secretariat of the museum for three years from 1992, said the facility opened at a time when there was growing awareness of the importance of learning about Japan’s militaristic past. Although the museum attracted about 70,000 to 80,000 visitors annually, it has long been condemned by conservative politicians and organizations. In some cases, the museum was forced to withdraw or revise exhibits following protests. Yoshinori Kobayashi, a renowned manga artist, denounced the museum by calling it a “system to brainwash viewers in the name of a peace museum” in his 1998 manga “Sensoron,” which defended Japan’s actions during World War II. The critical turning point came in 2011, when the Hashimoto-led Osaka Ishin no Kai became the dominant political party in both the prefectural and municipal assemblies. As a result of the criticism, the Osaka International Peace Center proposed in 2013 to scale back the display on the aggression and widen the exhibits on the air raids. What was installed as a direct replacement for the items on the aggression was 14 minutes of footage portraying the period leading up to Japan’s defeat in World War II starting with the Sino-Japanese War of 1894-5 and including the Russo-Japanese War of 1904-5. The narration of the footage does not use the term aggression regarding Japan’s wartime behavior. On the Nanjing Massacre and Bombing of Chongqing, it simply states a large number of residents were killed. The exhibits removed from the museum were thrown away late last year. “Our storage room is small and very old,” explained Shigenobu Okada, the head of the museum. Kazuya Sakamoto, a professor of international politics at Osaka University, defended the removal of the exhibits. But Keiichi Harada, professor of modern Japanese history at Bukkyo University in Kyoto, said the display depicting Japan’s wartime acts was vital in offering a bigger picture of the war. TOKYO — A Japanese city’s plan to seek UNESCO recognition for its collection of documents related to its role as a launching base for “kamikaze” suicide attacks in the desperate last months of World War II is raising questions over how such memories should be preserved. Kampei Shimoide, mayor of Minamikyushu, and others associated with the project said they hope that registering the document collection as a UNESCO “Memory of the World” will help ensure it will convey the horrors and suffering of the war to future generations. Chiran, a tea-farming town that is part of today’s Minamikyushu, was the site of an Imperial Japanese Army base that launched hundreds of attack missions during the Battle of Okinawa in the war’s final months. The Chiran Peace Museum, which houses the document collection, was built as a memorial to the pilots. Seventy years after Japan’s defeat in August 1945, sensitivities over its wartime legacy remain acute, especially in neighboring China and South Korea. Many in Japan fear that memories of the suffering the country caused might be lost with the passing of the older generations. Others both in and outside Japan worry that war-related monuments and artifacts might be used to glorify the war. Among the items the Chiran Peace Museum is seeking to include in the “Memory of the World” registry are “hachimaki” headbands inscribed by families and friends, farewell messages and heartbreaking letters from the pilots, who took off on their bombing raids expecting to die, with their fighters carrying only enough fuel to reach their targets. “Take courage, forget the past, and find new ways to be happy in the future,” says one, written by 23-year-old pilot Toshio Anazawa to his fiance, Chieko, before he died. To formally apply for the UNESCO “Memory of the World” recognition, Minamikyushu must gain approval from Japan’s education ministry, but it is unclear whether that effort will succeed. M.G. Sheftall, a history professor at Japan’s Shizuoka University and an adviser for the project, said the group would drop the plan if any effort was made by the authorities to distort its message. “This project is being undertaken to make a contribution to lasting peace and humanity’s future,” he said. Among hundreds of items in the “Memory of the World” registry are documents related to the Guttenberg Bible and Victor Fleming’s 1939 classic “The Wizard of Oz,” as well as the 1703 Census of Iceland. Separately, UNESCO is considering registration of 23 former industrial facilities dating back to Japan’s 1868-1910 Meiji era as World Cultural Heritage sites. That plan also has drawn criticism, because some sites used forced labor and prisoners of war. The goal of seeking UNESCO status is not to glorify the kamikaze, but rather show how they were exploited by thier own Japanese leaders. I fully applaud both the bid, and the resolve to withdraw it if the right-wing try to subvert the real message. TOKYO (Reuters) – A Japanese city will press ahead to get the U.N. World Heritage to register letters by World War Two kamikaze suicide pilots alongside documents including the diaries of Anne Frank and the Magna Carta. The Wednesday announcement by Kampei Shimoide, mayor of the southern Japanese city of Minamikyushu, comes after South Korean outrage at Japan’s proposed UNESCO World Heritage listing of early industrial sites, some of which used forced labour during World War Two. An unsuccessful bid last year by the city, which hosted an airfield from which hundreds of pilots launched suicide missions 70 years ago, was condemned by China, where memories of Japan’s occupation run deep. Both China and Korea suffered under Japanese rule, with parts of China occupied in the 1930s and Korea colonized from 1910 to 1945. “Our project is in no way whatsoever being undertaken in an attempt to glorify, romanticize or otherwise rationalize the historical legacy of (the pilots),” Shimoide told a news conference, referring to the letters and wills from the pilots preserved at the Chiran Peace Museum. China applied last year for the inclusion of documents from the 1937 Nanjing Massacre and archives about the women forced to work in wartime Japanese military brothels under the same programme, prompting protests from Japan. A decision on this is expected later this year. 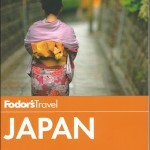 The Minamikyushu bid failed to clear the Japanese domestic selection process last year. Should it succeed this time, it would be considered for listing in 2017. UNESCO’s Memory of the World programme, launched in the 1990s, has registered dozens of projects to reflect the “documentary heritage” of different periods. Documents include Britain’s 13th century Magna Carta, Anne Frank’s diary from World War Two and an annotated copy of Karl Marx’s Das Kapital. “Another myth is that the kamikaze pilots only had enough fuel for one-way missions. Two reasons that’s wrong. One, especially true for army pilots insufficiently trained in over-water navigation, was they were often sent out to find targets — and couldn’t find them. If you did that only with enough fuel to reach the target area, you don’t incur any damage against the enemy, and you lose a pilot and the plane. Sorry, I don’t get it. Where does Reuter’s article provide any reference to mythic interpretation of pilots on suicidal mission? Guys, you should go over to Japan Today and read the comments. Pretty much all of them miss the point about the purpose of seeking UNESCO listing, and are slamming the attempt as glorifying Japan’s war of aggression. Has Japan Today moderated the comments to turn the discussion into ‘evil NJ bashing Japan’, or has every single person that left a comment not read the article? Dr. Sheftall explained that “carrying only enough fuel to reach their targets” is an incorrect myth. The Reuters article above literally states “carrying only enough fuel to reach their targets.” Ctrl+F it. Not a big deal, this Reuters quote simply shows Dr. Sheftall is right: this fuel myth is prevalent. But I don’t want to take away from the main point here, which to me is about Dr. Sheftall’s good work. who had the courage to show Japan’s aggressive killing civilians in other countries before and during World War II. Knowledge of Japan’s aggression (invading & killing) in other parts of Asia, is essential for peace. But Hashimoto had that evidence destroyed, to focus more on the air raids instead: the “victim” Japan. The air raids WERE to be expected since Japan DID terrible killings abroad. This is the painful truth. Kill other humans in other countries, and eventually the same comes back. Learn this lesson Japan! When the focus is Japanese pilots, instead of the REAL victims killed by Japanese soldiers, it’s right-wing. Only time will tell if you 4 someday realize this UNESCO push IS covertly the right-wing Japan victim message. Bucky’s message doesn’t fit the right-wing narrative of ‘they were brave martyrs who volunteered to sacrifice their lives for the peace of the nation’, but instead is ‘young men under voting age bullied into suicide for the vanity of the elite’. That is the message the exhibition is conveying. If the right-wing aren’t listening, there’s nothing I can do to change that. If the right-wing is in denial, there is nothing I can do to change that. If the right-wing drown out the message in Japan with thier delusional fantasy, there is nothing I can do to change that. The true message is clear, and from the comments on Japan Today, no one except right-wingers have any sympathy for the kamikaze at all. The more the right-wing make of this, the more push-back they will feel from the neighbors. It’s embarrassing, quite frankly, that Congress chooses to overlook all of Abe’s totalitarian fascism, and talk about an ‘alliance of hope’, whilst leaving it to China (!) and Korea to act as watchdogs on Abe’s human rights clampdown. But hey, we set up Hussain, Sukharto, and Noriaga et al. Puppet racist dictators is something the US has a soft spot for. I am not very convinced with your statement that the study will become right-wing favorite when ‘the focus is Japanese pilots.” Have you read Dr. Emiko Onuki-Tierney’s “Kamikaze Diaries: Reflections of Japanese Student Soldiers”? None of her works have anything to do with right-wing fiction at all. Didn’t Dr. Sheftall make it very clear in press conference that this project is non-partisanship? Is there any evidence that suggests the link between right-wing conservatives and Dr. Shefall and museum curators? Now, you are making the claim that they would be held responsible for the risk of injury in the study of subject(in this case, history) if their project would be supported by unwanted groups even though they have little or no conflict of interest. That is even more sinister and dangerous message right-wing apologists like to send. Intelligent Holocaust knowledge campaigns rightfully focus on the high number of Jewish victims killed by German soldiers. Intelligent Holocaust knowledge campaigns rightfully do NOT focus on the relatively low number of German soldiers-as-victims. This non-partisan campaign you are praising does NOT focus on the high number of NJ victims killed by Japanese soldiers. This non-partisan campaign you are praising does DOES focus on the relatively low number of Japanese soldiers-as-victims. #1 Has UNESCO made something about the poor German soldiers? And Jim, would you support such a campaign? 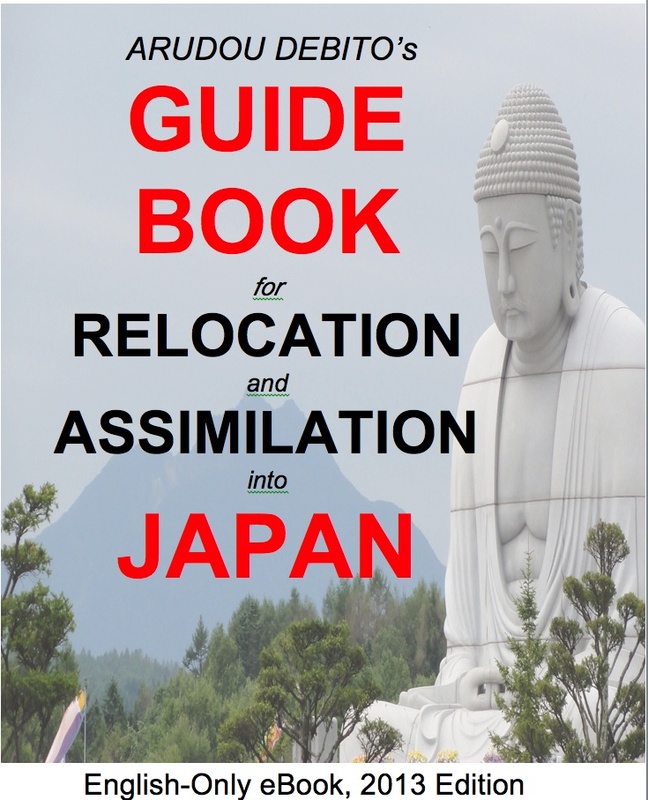 #2 Has UNESCO made something about the non-Japanese who were killed? And Jim, shouldn’t this come first? #3 Since human lives are supposed to be equally valued, regardless of race or nationality, shouldn’t we start with honoring those millions of humans killed, before honoring the relatively few soldiers who died while doing the killing? Whether consciously or unconsciously, this UNESCO push is placing the spotlight on the WRONG group of victims. Ah, ok, I see where you’re coming from now. And I agree with you. I agree. But I think that given Japan’s extreme institutional and casual racism, trying to talk about thier victims would be a pointless exercise- they aren’t listening. The only way to undermine the right-wingers is to attack the right-wingers message IMHO, and that is what this is all about. Japanese people have to understand that they are being misled and lied to about the war, so let’s start with the lies about ‘brave Japanese volunteers’. They aren’t ready to even hear the truth about thier victims yet. Now, you are throwing a tantrum. Your attempt to shut down the voices of ordinary soldiers and their families in painting of evilness by paralleling with German SS soldiers is a classic example of reducio ad absurdism. It resonates with the tactics GOP conservatives and AAFA(American AirForce Association) used against the exhibition of Enola Gay at the Smithsonian National Museum twenty years ago. So is your mention of “Intelligent Holocaust knowledge campaigns.” What does that reference have anything to do with Bucky & Chiran curators? Sounds like you are saying they could be potential guilty suspect until proven innocent for what they are trying to do–which is exactly the same logic Japanese police and prosecutors use in their criminal investigation. Why don’t you simply give them the benefits of the doubt? Second, your description of “relatively low number of Japanese soldiers-as-victims” is troubling and misleading. What is your standard or guideline of “good” or “bad”? And why do you think is it justifiable to determine subject(s) is/are worth study for the good of public interests–based on quantification of labeling??? Please note that this also throws an important question to the readers who are skeptical of some social science/humanities research. Third, your attempt to emphasize or dismiss the concern of issue based on quantification also leads to troubling assumption on victims. I am referring to your emphasis “FAR OUTWEIGHS” that compares victims based on race/ethnicity and/or nationality. This kind of argument not only gives people bait-and-switch on racial bias, but it also misdirects us to the understanding of race/racism in present context as “individual cultural” problem that is irrelevant to the people of different segment of civil society–so called “color blindness.”(e.g., poverty, privatization, predatory lending, anti-teachers/union busting). 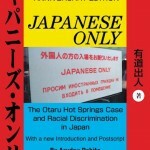 It gives more ammunition to apologists and conservatives for willful blindness to the reality of obscured understanding of racial discrimination in the Japanese society. Finally, your two questions on UNESCOs precedence (#1&#2) do not provide any practical judgment on integrity of Chiran project. It hasn’t even been to MEXTs screening yet. In your third question #3, you are bringing up far more daunting and extremely pain-staking project than what Bucky and previous historians have been investing in their lifetime. It just sounds like an ivory-tower dream because you just don’t know how many decades–or up to a century– you’re gonna have to spend to materialize, regarding funding, sources, and material collections across the region. I am not expecting you to become a historian, but you certainly need to think cautiously about conflict of interest in regards to research. Receiving millions of yen from government-affiliated organizations, former Zaibatsu Foundations, or any other wealthy philanthropists always involve trade-offs. People would lose funding based on what their projects are all about. It may be desirable for those who have ancestors as war-victims–but highly questionable make it as a realistic project. If you think Chiran project is wrong based on your moral definition of victims, that is your privilege. You have a right to sidestep from further conversations on the topic you don’t like. @ Jim #15 – Glad we can agree that this is kinda’ baby-steps towards the ultimate goal of actual murder admittance. Which is why I say Dr. Sheftall is doing good work, but it just seems too weak: which is why Abe is allowing it. It’s not controlled-opposition, but it’s obviously allowed-opposition, since the real victims aren’t being mentioned. Since Dr. Sheftall’s salary at Shizuoka University is paid by the Japanese government, he must self-limit himself. I see him as a good-hearted person trying to initiate an important conversation… with a non-controversial intro. No changes were requested, no attacks from right-wing Abe-Japan, because this project focuses on the deaths of 6,000 JAPANESE killers. I actually don’t see anywhere in this UNESCO plan ANY mention of Japan’s LEADERS being the reason those 6,000 Japanese died. So to me, no upcoming “effort by the authorities to distort the message” is needed, the message is clear: 6,000 Japanese victims. After these baby-step intro talks about poor Kamikaze pilots… will Japan then admit the MILLIONS of Asians Japan killed? Germany admits the millions of Jews they killed. America admits the millions of NativeAmericans they killed. Japan doesn’t admit yet. Even the debate about the hundreds of thousands killed in one city is a red-herring, when Japan killed millions of humans across Asia. Actually, about the whole “misled” point, even though we Debito readers keep mentioning how the pilots were misled by bad leaders, absolutely nowhere in this UNESCO proposal is that vital point mentioned. That vital point, that these 6,000 killers were led to their deaths by Japanese war-mongering leaders, is NOT mentioned at all. Instead, “The documents serve as a reminder of the extremes people are driven to in DESPERATE CONDITIONS,” says Mutsuo Kuwashiro curator of the Chiran Peace Museum. See, even Japan’s most left-wing curator himself can’t admit the real reason those 6,000 Japanese-terrorists died. It was not “desperate conditions” that forced these Japanese into becoming suicide-terrorists, it was imperial greed. Only in the mind of a nationalistic person would war-of-aggression-suicide-bombers be thought of as victims more deserving of a UNESCO memorial than the millions of actual civilian human victims killed by such soldiers. 6,000 Japanese humans killed are NOT more precious than Millions of Non-Japanese humans killed. Period. A neutral human can admit Nazi soldiers and Japanese soldiers were the unjustified killers, not the victims. It is those with nation pride that should “sidestep from further conversations” on facts they can’t admit honestly. When you see yourself as a human, instead of a member of some nation/culture, THEN you will be able to criticize ALL bad actions. As I human, I criticize ALL bad actions, for example “my family” unjustifiably killing innocent Arab victims everyday. Well, there we have it, I have said all that can be said about that. This is my final post on this thread. Good thing my not being paid by any government, and my not being proud of “my race” nor “my country” allows me to express painful truths fully WITHOUT any self-imposed baby-steps limitation. Painful truths must be fully admitted (for example, “my family” containing many past and present killers who try to justify their killings with various rationalizations about “Manifest Destiny”, “Preemptive Strikes”, and “Fighting terrorism by using planes to drop bombs on civilians”.) Full admittance is essential, to actually begin to stop these actions and subsequently create a one-human-family which lives in Peace. — Thank you for the thoughtful essay. All right. I see your whole point. A couple of my rejoinders. First, please try not to make any insinuation to Dr. Sheftall for what he is trying to do in his project just because you don’t like it. If you critique his moral character due to his conflict of interest in research, you need to provide evidence to support your point—not a speculative comment popped up in your head. If you say his research project is ethically problematic due to conflict of interest, let’s say, secret funds from Japan Institute for National Fundamentals, you need to do some investigation on that. Maybe direct conversation will be a good start to learn who he is. Also, I don’t feel comfortable with the term “self-limit himself,” since that just sounds like Dr. Sheftall is indeed receiving ‘secret’ funds from some powerful government organizations that have political stakes in representing national history. I would say, he is “being paid by “taxpayers money,” if I were you. It’s not the same as being paid by the PM office or any government ministry—like Tokyo metropolitan governor or government-appointed nuclear expert Dr. Yamashima. 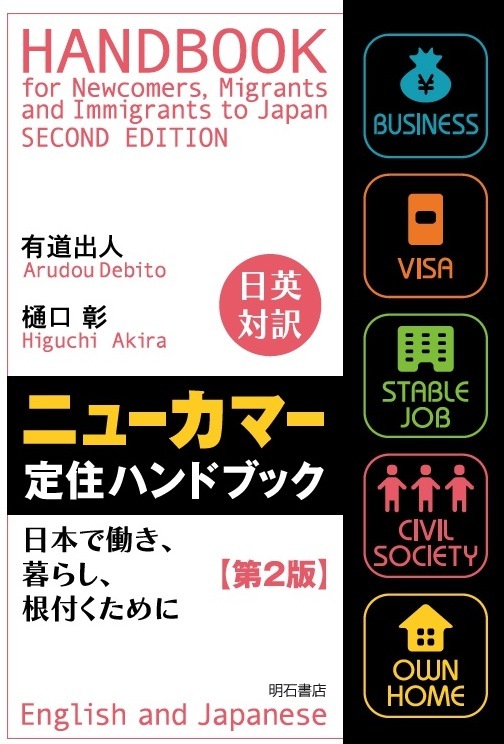 Okay, maybe some connection with the MEXT regarding fundings, but the central authority is not responsible for micromanaging the ministry’s internal business operation, right? Second, it is not necessary for researchers/historians to conduct the research exactly what critics are telling them to do. They are free to choose and decide their focus, methodology, research design, and texts/archives. It is understandable to suggest the significance of lost lives of innocent civilians being killed in wartime by seeking social/moral responsibility for adjudication. But, they don’t have to follow the same approach, same pattern of analysis for fact-finding and its verification we have seen repetitively in news media, history textbooks, and journal articles for over 70 years. Vast majority of people already know who the perpetrators were, and what(and how) a former perpetrating state had sanctioned their imperial/colonization past–with assistance of foreign collaborator(s) during and after WWII–for justification of racial stratification and suppression of selective memories. We all have witnessed both victims and victimizers consciousness for more than a couple of decades–by focusing on the aggressiveness of perpetrator and victims. Regardless of individual preference or partisanship, both narratives have appeared in both print and online media, repetitively, to the detriment of narrowly, cookie-cutter, same-old perspective. You’re trying to make it look like 6,000 lives of those pilots belonging to the imperial state are as (or could be even more) important than tens of thousands of civilians and victims. There is no such indication in Bucky and Chiran curators’ project. No one is making such a provocative claim. Bucky’s focus is unique because neither left nor right-wingers have ever successfully incorporated into their narratives for the creation of history-telling as ‘authentic’ narratives–not speculative reason(s) you line up. I don’t count Naoki Hyakuta’s self-indulgent, fantasizing novel ”永遠の0” at the same quality work as Onuki’s ‘Kamikaze Diaries’ or other related works. It is true that the vast majority of pilots were blindly following the evil leaders’ bad decisions. But there’s nothing wrong in engaging in the close readings of authentic texts describing their thoughts and feelings on suicidal missions and/or expressions toward their loved ones. Critiquing the situation that accounted for their ‘one-and-only choice’ left–due to imperial headquarters’ ill-conceived decisions and information cover-up– does neither undermine the findings of scientific truth nor undervalue the cost of innocent victims in the first place. Unpacking these ‘under-represented’ voices is also needed for our deep and profound understanding of national history regarding war machine and loss of humanity.